William Thirsk was educated at Oxford University where he graduated in 1523. 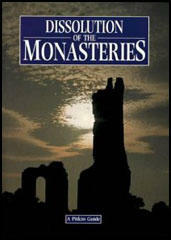 He was elected Abbot of Fountains Abbey in 1526. Cromwell was shocked when the reports came back. It was claimed that William Thirsk was guilty of "theft and sacrilege, stealing and selling the valuables of the abbey and wasting the wood, cattle, etc of the estates". He was also claimed that he kept "six whores". (4) Thirsk was replaced by Marmaduke Bradley in 1536 who was a "right apt man" for the post. Following the agreement to disband the rebel army in December 1536, Francis Bigod began to fear that Henry VIII would seek revenge on its leaders. Bigod accused Robert Aske and Thomas Darcy of betraying the Pilgrimage of Grace. On 15th January 1537, Bigod launched another revolt. He assembled his small army with a plan to attack Hull. Aske agreed to return to Yorkshire and assemble his men to defeat Bigod.